Starting her journey in Scotch Planes, New Jersey, Sofia graduated from Union County College with both her Business degree and her cosmetology license. 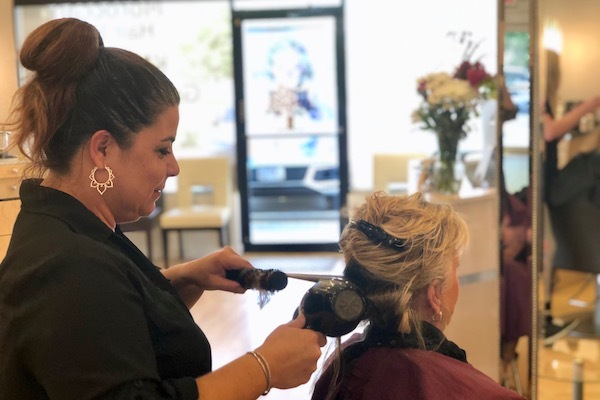 Recognizing her passion for the industry led her to an apprenticeship in a cutting edge salon where she worked extensive and developed her skills with Goldwell color. Once she mastered some of the more advanced concepts of styling, she ventured to North Carolina where she established her very own salon, Hot Heads Hair Design Studio. Sofia dedicated 15 years to the success and growth of Hot Heads, while also attending numerous advanced education trainings by national level educators. Her passion for the industry is energized by revitalizing her clients hair with simple but stunning changes. Layered, curly, and short haircuts are a few places Sofia can truly demonstrate her abilities, though she is proficient in all aspects of coloring and cutting. Sofia is grateful for every client that settles into her chair and she devotes all she has to actualizing her clients hair aspirations.